AGES: 15-16 years old: DATE: SIGN UP NOW! 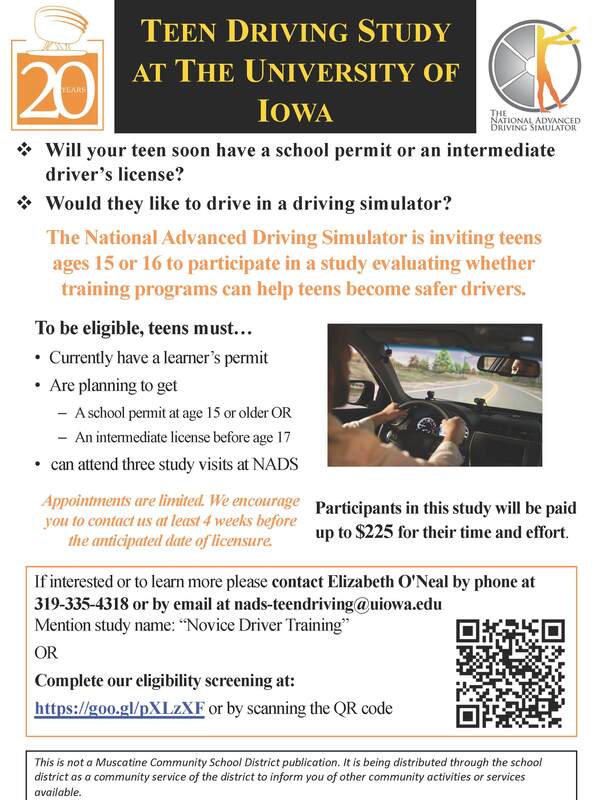 Calling all novice drivers 15-16 years old: Participate in a driving simulator study to evaluate whether training programs can help teens become safer drivers. Have a parent check out our flyer for more information on study requirements and compensation.